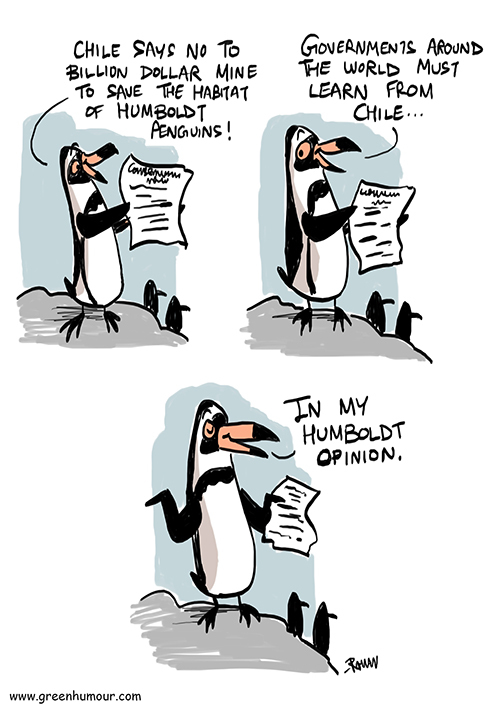 Chile has recently rejected mining company Andres Iron's billion dollar mine proposal in favour of Humboldt Penguins! Hurray for Chile! That's a relief and good to hear..